Studies have shown that video clips on company websites are frequently viewed and normally one of the most popular features of a site. Many company heads realize that communicating their story through a video is a great way to interact with and engage current and potential clients. 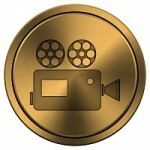 Web video production is, therefore a process that should be handled with great care. A quality product should be the goal of everyone involved. To see this goal achieved, professionals need to be given responsibility of the project. 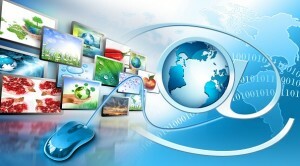 Many web video production service providers offer only one or maybe two services. This causes company leaders to have to search high and low for the best services amongst several companies in order to gain a final product. Farotech makes web video production easy by providing all of the necessary components under one roof. Company leaders can see a video created for their site from start to finish when they choose to work with Farotech. Our in-house team of professionals can produce a web video for your company’s website. The work is done by professionals and you can be sure that the final product will exceed your expectations. Writing the script, laying out a storyboard, illustrations, voiceovers, music, filming, editing and final copies are all part of the process. At Farotech, all of these components are seamlessly worked on in the same place and at the same time. At Farotech, we believe that every project we work on is valuable and we understand the importance of exceeding our clients’ expectations. Your satisfaction is our number one priority and we will demonstrate our commitment to your project in a variety of ways. Your company’s unique history, goals and mission should be clearly communicated through your video. No one knows these things better than you! From the very beginning we will ensure that your voice is heard by working directly with you to create the storyboard for your video. Focusing on your unique brand in a web video is called storyselling and is one of the most powerful tools you can utilize in this project. nd. Our professional team members will come to you to film. Our editing team will ensure the video is exactly the way you imagined it to be and our tech experts will provide you with a final copy of your web video that will run smoothly on any device. To learn more about these services or any of the other services that Farotech provides, please feel free to contact us today. We look forward to helping your business get more notice online.